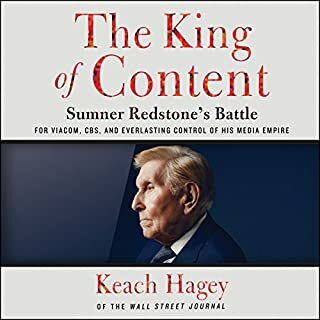 Sumner Murray Redstone, once feared as the “mad genius” of media who would dump his CEOs for mere wobbles in his companies’ stock price, had built one of the world’s greatest media empires through a series of audacious takeovers constructed to ensure that he always maintained control. Today he controls 80 percent of the voting shares of both Viacom and CBS, meaning that on a whim he could replace the entire boards of two public companies with a combined value of $40 billion. Feels biased. Well researched, but not engaging. 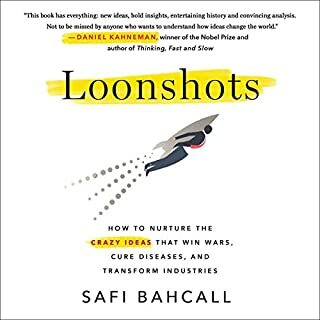 An innovative trend combining technology with economics is unraveling behemoth industries - including corporations, banks, farms, media conglomerates, energy systems, governments, and schools - that have long dominated business and society. Size and scale have become a liability. 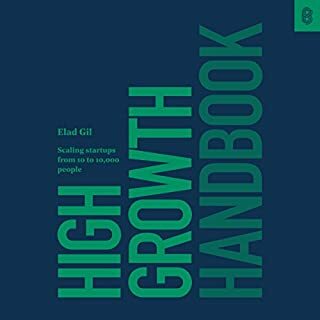 A new generation of upstarts is using artificial intelligence to automate tasks that once required expensive investment, and "renting" technology platforms to build businesses for hyper-focused markets, enabling them to grow big without the bloat of giant organizations. 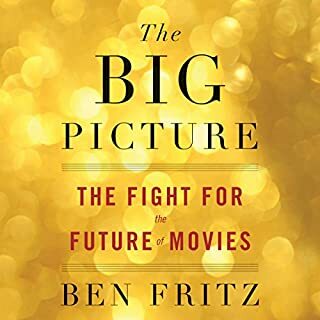 An intimate and profound reckoning with the changes buffeting the $2 trillion global advertising and marketing business from the perspective of its most powerful players, by the best-selling author of Googled. Advertising and marketing touches on every corner of our lives, and is the invisible fuel powering almost all media. Complain about it though we might, without it the world would be a darker place. And of all the industries wracked by change in the digital age, few have been turned on its head as dramatically as this one has. We are a long way from the days of Don Draper; as Mad Men is turned into Math Men (and women - though too few), as an instinctual art is transformed into a science, the old lions and their kingdoms are feeling real fear, however bravely they might roar. 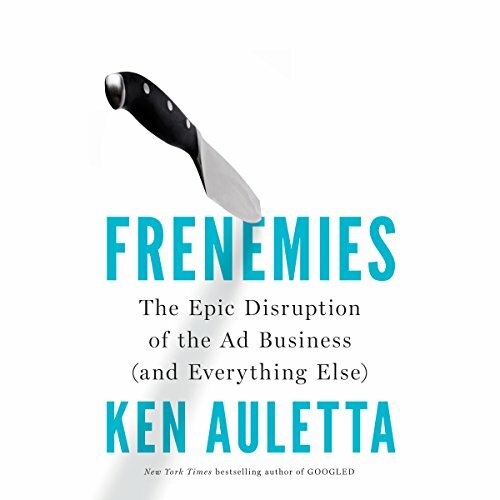 Frenemies is an essential audiobook, not simply because of what it says about this world, but because of the potential consequences: the survival of media as we know it depends on the money generated by advertising and marketing - revenue that is in peril in the face of technological changes and the fraying trust between the industry's key players. I’ve always enjoyed Ken Auletta’s books. He is one smart author and always provides deep insights into complex topics. 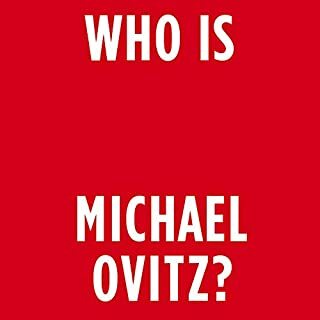 This book dives deep into the world of media, entertainment and advertising. Seismic changes are happening as consumers seek to escape the legacy practice of interruption and annoyance marketing. Subscription services such as Hulu, Netflix and Amazon Prime are booming. More people than ever are willing to pay money each month just to escape the din of advertising’s assault on the senses. This book is packed with amazing insights. Auletta reveals the many trends that are morphing the advertising landscape and the many new players eagerly seeking to carve out a share of the profits. I learned a lot, but this book took some real work to get through. Auletta’s other books did a great job of methodically guiding customers through a story. He masterfully made complicated topics understandable. Unfortunately, this book was rather disjointed. It is more a random collection of thoughts and observations on trends. It’s a shame because Auletta’s insights are quite prescient. The first half of the book is particularly cluttered, but it gets better in the second half. Despite its lack of narrative, this was a refreshingly smart book. I’m quite glad I read it. It definitely gave me new insights and has me looking at the world of media and advertising with a new perspective. Full of important info about the shaking up of the advertising industry, but needs to be culled to 2/3 length. Repeats itself often and dwells too long on bios of figures. 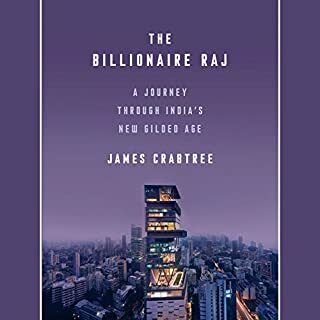 Fascinating perspective on the forces reshaping an industry once controlled by a few megaholding companies - and in turn, reshaping consumerism as we know it. I wanted to learn more about the advertising business. I got some things from this book but it was very detailed with lots of name dropping and I’m not sure I could tell you the difference between an ad agency and a media agency after having read the entire thing. The most interesting part of this book is how Auletta took an interesting topic in a storied, fast-changing industry and made it painfully dull. It’s like Ross is reading the organizational chart from the appendix of a business school case study, written by a b-grade airport novelist. UPDATE: Read several more chapters. Still terrible. GreAt fantastic book for the gym. I’m in advertising director or print publication of course branching out into the world of digital knowing that in a very short time all they can go away however I’ve known her for the past 10 years and been getting ready happy exit strategy everyone.